Poverty Is Real - Brandon Smith- Where is he now? Brandon Smith is a Barbourville native who attended Barbourville High School. Brandon was a participant in the KCEOC WIA Youth Program which is for low-income students to help them transition from High School to college or work. Through the program he learned many skills to help him in the work place, learned how to effectively work with others unlike himself, and skills on how to search jobs and colleges. After Brandon left the Youth Program he began working at Laurel Grocery until he was 20 years old. Brandon enjoyed his job, but knew he wanted to do more with his life and make a change in the world. He decided to enlist in the United States Air Force, and began December 28, 2010. He is now an Electrical & Environmental Specialist on the B-52 Bombers at Barksdale Air Force Base in Louisiana. Brandon currently resides in Shreveport, LA, and in his spare time he mostly works on his house, visits with friends, spends time outdoors, and is attending college at Louisiana Tech during his after hours. He recently graduated Airman Leadership School and acquired E-5 (Staff Sergeant). 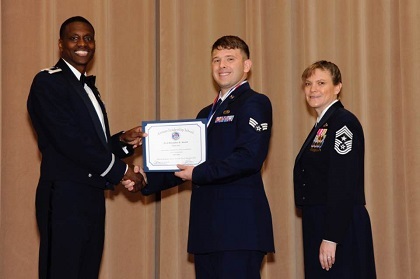 Before that, he received an Achievement Medal through a series of accomplishments from training Japanese Air Force personnel on how to use equipment, dismantling, and resolving equipment issues with air-crafts.